Dr. Campbell has been awarded a grant from the Canadian Foundation for Innovation to purchase new EEG and eye-tracker systems for the lab. These systems have high temporal precision; that is, they can record effects that only last for a few milliseconds in the brain or eyes. 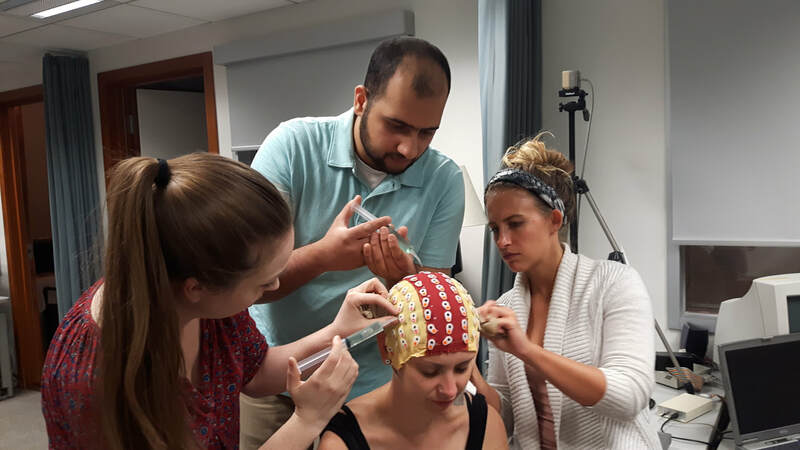 Since attention effects are often short-lived, this equipment will allow the Campbell lab to gain a better understanding of how aging affects one's ability to pay attention. For more information, see the full story in the Brock News. Campbell lab graduate student, Dawn Ryan, traveled to Newfoundland last week to give two talks at her alma mater, Memorial University (Grenfell Campus). Dr. Campbell gave one of the keynote talks at the Lake Ontario Visionary Establishment (LOVE) Conference in Niagara Falls last week. She spoke about how age differences in memory and language may be explained by the kinds of tasks we commonly use in psychology. Dr. Stephen Emrich, also from Brock Psychology, gave a roast of Dr. Campbell before the talk, as is tradition at the annual LOVE conference. 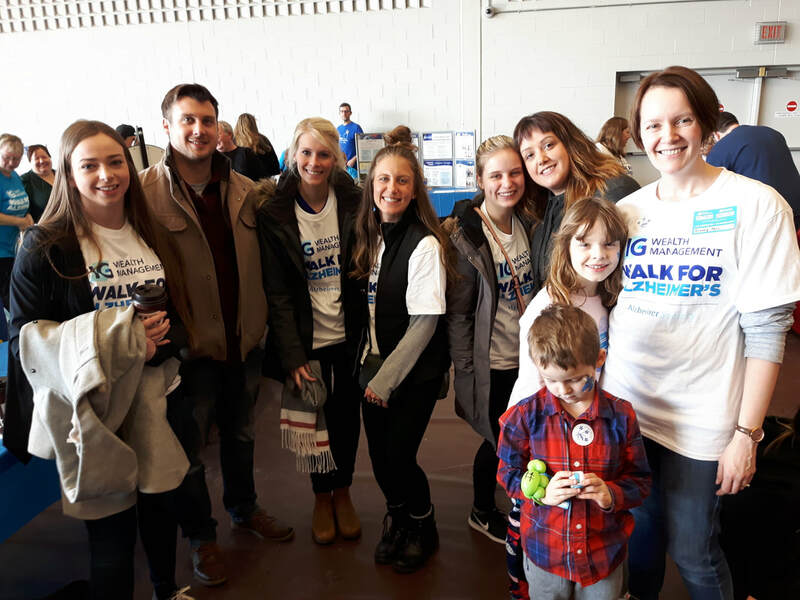 The Campbell lab (and friends/family) participated in the Walk for Alzheimer's this past weekend. Thanks to everyone's generous donations, we were able to raise over $1,300 to support local programs and services in the Niagara Region. Incoming grad student, Sarah Henderson, has been awarded an Ontario Graduate Scholarship to support her MA research on age differences in memory. Sarah recently completed her undergraduate honours thesis in the lab, looking at age differences in the neural underpinnings of voluntary vs involuntary memory. We are very excited that she decided to stay on in the lab for grad school! We are very proud of Emily Davis for winning a Natural Sciences and Engineering Research Council of Canada Graduate Scholarship-Master's Award. Emily is currently working as our lab manager, but she will be starting as a graduate student in the lab this September. Not sure how we're going to run the lab without Emily at the helm, but clearly she is destined for bigger and brighter things. Congratulations Emily! Way to go Dawn and Emily! Congrats also to undergraduate thesis student, Emily Chemnitz, on winning an NSERC Undergraduate Student Research Award to work in the lab this summer. Following this, Emily will be starting as a graduate student in Epidemiology & Biostatistics at Western University. Exciting times! ​Congratulations to current MA student, Dawn Ryan, on winning a Spring 2018 Research Fellowship. These funds will allow Dawn to focus on her MA thesis project this summer, which is looking at the biological mechanisms underlying stereotype threat in older adults.